LM3 recognizes the importance of user friendly but robust test connectors. 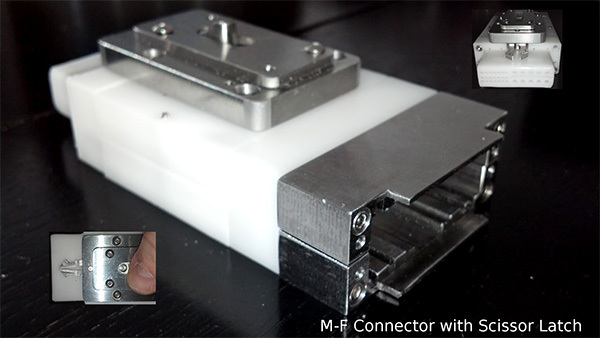 Using 15 years of experience in connector design and manufacturing, LM3 has developed a standard three part design using 3D modeling software and a 3D printer for prototyping, that is simple yet reliable in even the most rough industrial environments. The test connectors are fabricated from a non-static plastic and are assembled with utmost care. Industrial pogo pins and sockets are included for durable connection points. The modular style, with multiple piece design, allows for an easy repair or replacement of individual parts. 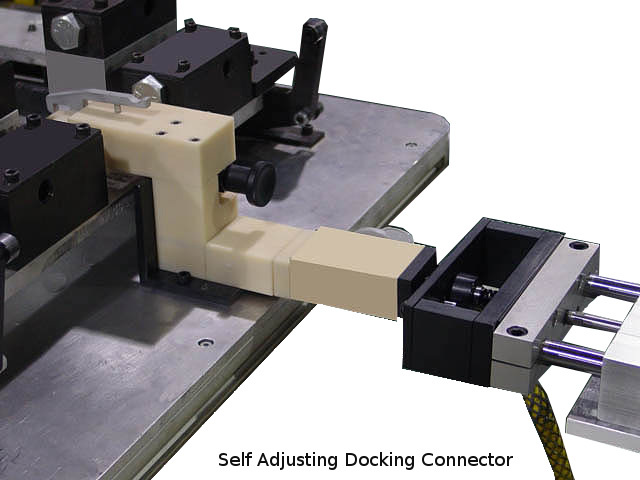 LM3 has committed extensive R&D to our test connector product design to address ergonomics, durability, and maintainability. 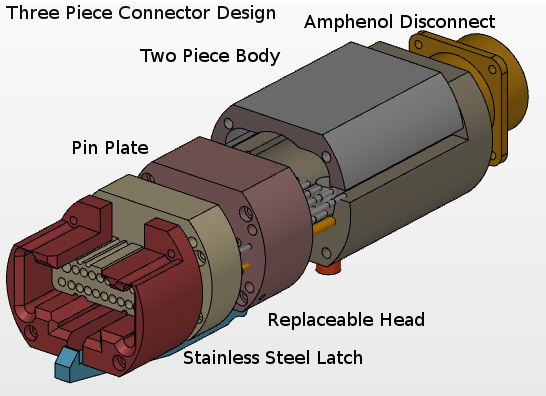 For this reason, we design our connectors with a three piece construction. Removable head sockets into a pin plate for ease of maintenance. Pin plate connected to quick disconnect as permanent part of connector. Two piece body for ease of maintenance and assembly. 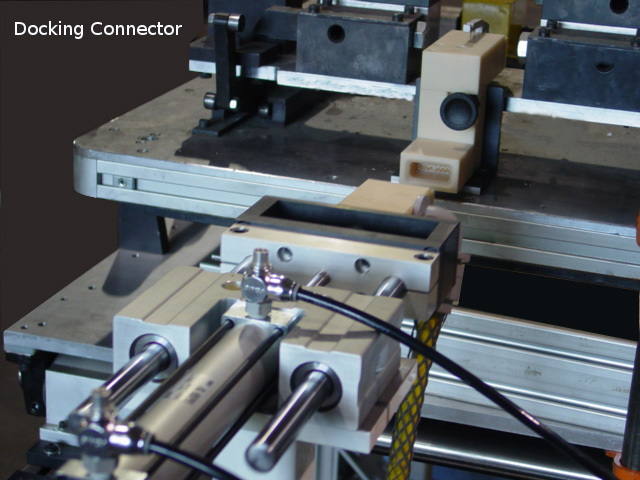 LM3 Technologies, Inc. has in-house capabilities to provide industrial repairable type test connectors. 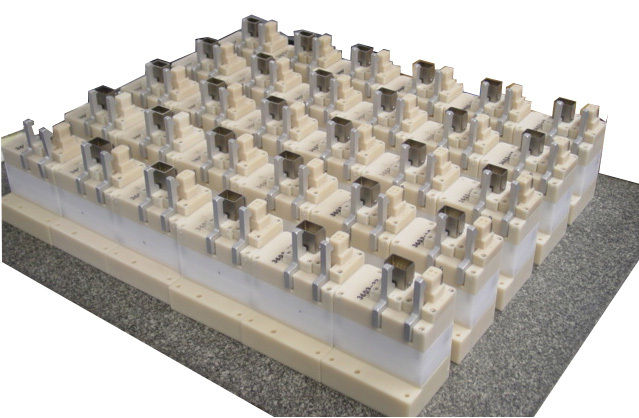 The test connectors are fabricated from a non-static plastic on high precision CNCs mills. Industrial pogo pins and sockets are included for durable connection points. The Modular style, with multiple piece design, allows for an easy repair or replacement of individual parts. 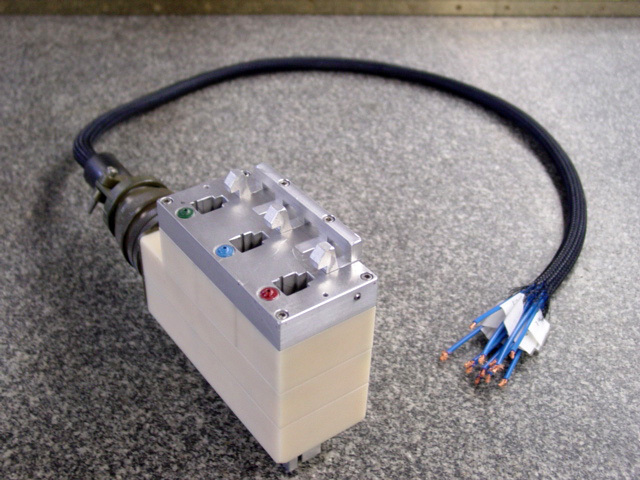 All soldering/crimping is completed in the main connector body and is isolated from the test connector head. Termination to the test system can be done using military circular or Harting HAN disconnects. Pneumatic shunt removal units for testing pyrotechnic connections for their bridged and unbridged resistance. Optional inclusion of a test connector connected sensor to restrict the start of the test cycle until the connector is connected. Optional LED to indicate when the connector is required based on the product under test. Optional Lockable latches to prevent accidental disconnects during testing.